The United States of America is dealing with an epidemic of the greatest concern because our system of tracking pharmaceuticals is severely lacking in a number of areas. 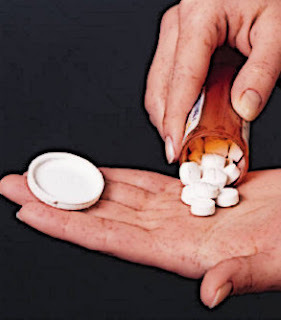 Prescription drug use is the number one offender when it comes to health problems like addiction and(or) overdoses. Every day in every state more and more people are losing their lives from abusing drugs which were legally prescribed. What's more, a number of people who are prescribed prescription narcotics are given so many that they can afford to sell them on the street to make extra cash and many times the patients' state funded insurance paid for the medication in the first place - total profit. The fact that some states are worse than others is irrelevant, there needs to be a nationwide unified system in place that tracks who is being prescribed narcotics and how many they are getting so that doctor shopping cannot be possible any more. Patients will go to as many doctors as they can and one doctor does know any better than the next as to whether or not the patient is already being prescribed a particular drug. Certain doctors will continue prescribing narcotics even if they spot an addiction problem which ultimately contributes to the possibility of an overdose. Florida and Nevada are two of the worst states, pill mills as they have become known as, but, Nevada is trying to crack down and make a better system for keeping track of who is dying from overdoses of prescription drugs as well as what's going where and whether or not the prescribed patient is actually taking their medication at the proper dose or at all which indicates that the patient is selling their drugs. Nevada, unlike Florida, uses an online database of patients and prescriptions available to doctors and pharmacists, this makes it much more difficult for patients to get their hands on multiple prescriptions of painkillers by doctor shopping. Senate Bill 168, sponsored by Republican Sens. Joe Hardy and Don Gustavson, would help track deaths caused by prescription drug abuse by requiring that such deaths be reported and that the Board of Medical Examiners investigate to see if the conduct of the physician contributed. This would be a big step forward for a state suffering from a narcotic epidemic and other states would be able to model off of it. Nevertheless, people will continue to perish if we do not do something quickly, action will be the only thing that curbs this epidemic. An estimated seven people a day die of prescription drug abuse in Florida, if that isn't enough cause, then what is?